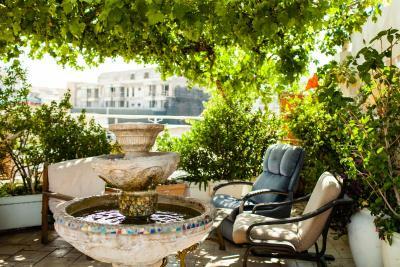 Lock in a great price for Old Jaffa Hostel – rated 8 by recent guests! Location to the old city. Beautiful terrace sitting area and the sky was blue and no rain so we could enjoy it. Staff especially Max and Sharni were fantastic! They gave us a wonderful room and were all so welcoming and friendly. They really try to value and respect each guest. Really well done you guys. Hostel had charm, class. Staff was extremely caring, friendly, available; they made me feel "at home." For the price, it was an excellent value! 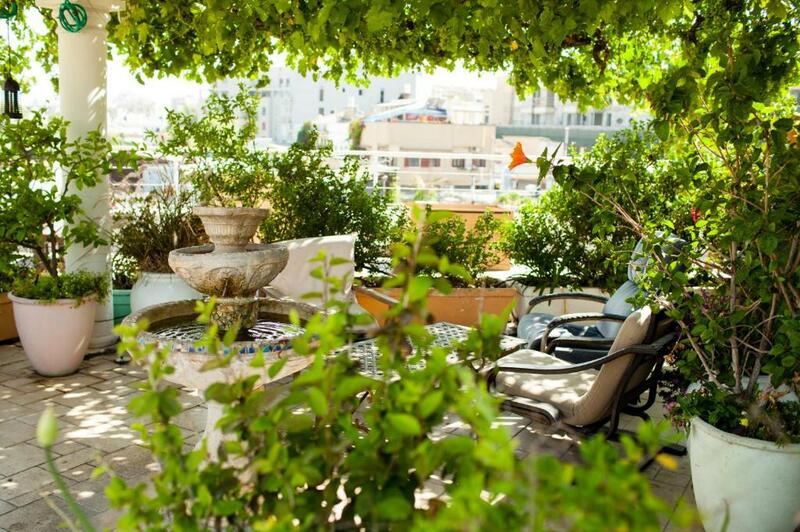 Fabulous location, about 15 minute walk to the beach, Great rooftop views of Old Jaffa and the Mediterranean. Right in front of a very lively and a bit noisy social scene on the weekends but it didn’t prevent me from falling asleep, and they provide earplugs if it does. This is one of the best hostels I have ever stayed in. It is just wonderful. The whole place is like a museum with the old style furnishing and the enchanting music you can hear around the main areas (restrooms included). On top of that, there's a huge rooftop where breakfast is served and where you can enjoy it with astonishing views to Old Jaffa. Whatelse can you ask for? I disagree with Lonely Planet's review stating that the dorm is slightly overpriced. 90 shekels for this place is absolutely worth it. 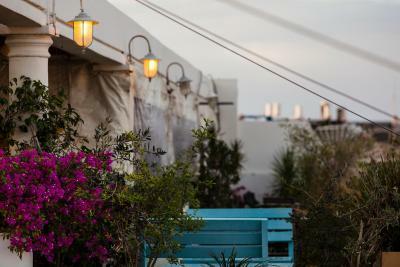 Set in one of the liveliest parts of Jaffa, right in the middle of the famous flea market and 1,300 feet from the beach, the Old Jaffa Hostel has a shared kitchen and a rooftop terrace with seating lounge. A light breakfast with toast, vegetables, hummus, white cheese, butter, jam, chocolate, coffee and tea is included and served from 08:00 to 11:00 daily. There is a grocery shop 150 feet away, and many restaurants and bars can be found in the immediate vicinity as well. The bus station is only 1,000 feet walking distance from Hostel Old Jaffa. 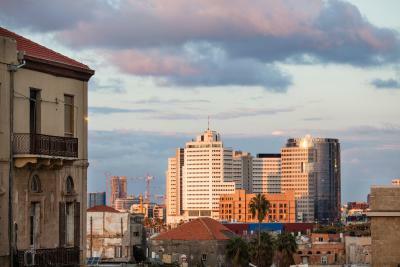 Tel Aviv city center and the HaHagana Train Station are 1.9 mi away. 뀐 Located in the top-rated area in Tel Aviv, this property has an excellent location score of 9.2! 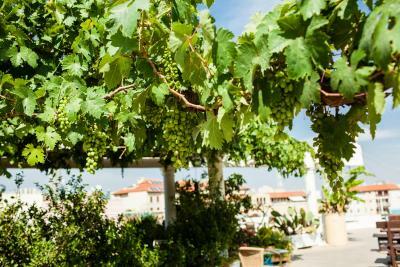 When would you like to stay at Old Jaffa Hostel? Bedlinen and a cooling fan are provided. Guests of this dormitory room have access to a shared toilet. Small air-conditioned room featuring a private shower. Room featuring a shared bathroom. This suite has a seating area, dining area and sofa. In the heart of the amazing Flea Market. An old building full of character. Just 2 minutes of walking from the beach. House Rules Old Jaffa Hostel takes special requests – add in the next step! Old Jaffa Hostel accepts these cards and reserves the right to temporarily hold an amount prior to arrival. Please inform Old Jaffa Hostel of your expected arrival time in advance. You can use the Special Requests box when booking, or contact the property directly using the contact details in your confirmation. Loved the location and the vibe! Super great hosts!! Beautiful - old - building and very well located next to the flea market in Jaffa. A good starting point to discover the city. The room was a bit dusty and the facilities were a bit moldy as well. 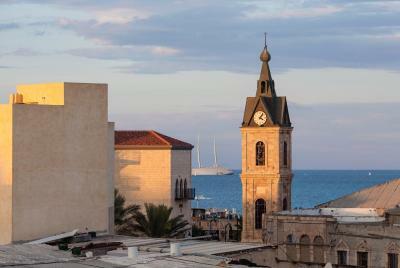 Great location in the heart of Old Jaffa. The large and comfortable roof top is a pro with an excellent view. Great staff & good breakfast. For the great price, dont grumble about any thing!! , go somewhere else!! I liked it all. The breakfast was delicious with a very good choice of food, Israeli breakfast and toast, marmalade, Jam, Chocolate spread. Juice, tea and coffee. Beautiful setting eating overlooking Jaffa to the sea. The bed was comfortable, the staff were friendly and very helpful, the atmosphere was relaxing and welcoming. Tea and coffee available all day is a very nice touch. There are plenty of spaces to relax with a book and internet. It is decorated in a bohemian, hippy, style reminiscent of kibbutz for me which made me feel happy and comfortable immediately. Excellent location, easy to walk along the beautiful coast path to Tel Aviv. Great mix of families, young and older people. Remember your ear plugs and eye mask for a good nights sleep. Hostel is located in the heart of Old Jaffa. However, is very, very loud at night, windows are so thin that is impossible to sleep. Beds are very small and we were afraid that we could fall down. Moreover, hostel needs to be renovated. Bathrooms are old and dirty. The same in the kitchen. Would not choose this hostel again. An advantage is localization and the terrace, that is good place to eat breakfast and drink coffee in the morning. Generally, staff is friendly and ready to help. Breakfast was kind of light in their own words. One more bedside table & lamp. Fabulous roof garden & breakfast. Loved the quirkinesses of the hotel. Our bedroom had lovely balcony overlooking markets. The hostel and the rooms were never in life renovated. It is really horrible. The hostel is so badly isolated that we could sleep only from 3 - 4 AM to 6 AM. The breakfast was very simple and you need to clean the plates that you used. This hostel I would recommend to nobody. The hostel is in the center of Jaffa. Rooms on the street side are somewhat noisy. Shared space is excellent to spent a rainy day! The staff were a bit confused re the Booking.com payment and I thought I might get charged twice, but in the end it was OK. Location in Jaffa is excellent. Roof top terrace is beautiful. Breakfast is wonderful. Dorm room felt very safe for my stuff. Showers clean. Beautiful old building, nice room with balcony. Good location near the Fleamarket and Jaffa Port.